1. Smart Hydration: Capable of holding up to 1000 times its own weight in water, hyaluronic acid soaks in easily to instantaneously recharge moisture levels and restore skin’s suppleness. In addition, hyaluronic acid is a hydrophilic humectant that continuously draws water from the air, thereby steadily replenishing hydration over time. Apricot Kernel Oil (Prunus Armeniaca Kernel Oil): Made from the seeds of apricots, apricot kernel oil is a light yet effective moisturizer, that works well with all skin types to deliver hydration. 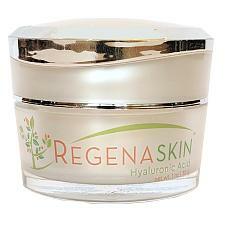 Hyaluronic Cream Usagee: Apply to Face & Neck 2 times per day.